The best alternatives to cable TV help you save a ton of money. The average cable bill is nearly $110, and it’s only moving higher. We were paying close to that average before we canceled DirecTV and now save $80+ per month that we’re able to put towards things we value more in our budget. I get asked about the best cable TV alternatives on a regular basis by readers. 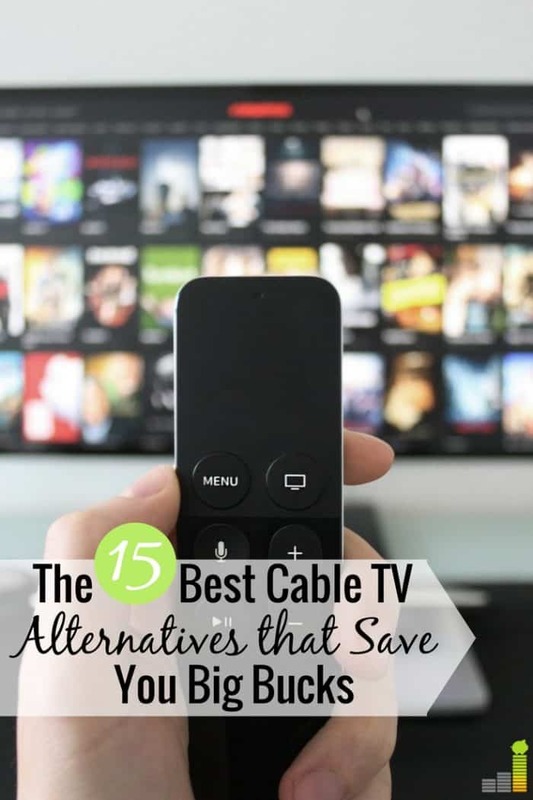 This post outlines some of the cheaper alternatives to cable TV that still let you watch the shows you like. If you want to cut the cord and wonder what channels you can get without cable, this post shows the best cable replacement services to consider. There are a growing number of alternatives to cable TV today. If you’re asking yourself “can I get TV without cable?” the answer is yes. It seems like every month a new service comes out that makes it possible to cut the cord. That wasn’t always the case, but I’m thankful to see the explosion occurring as that’s better for us as consumers. 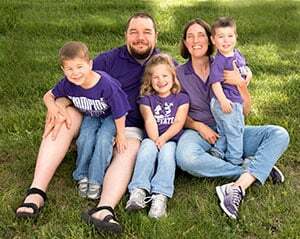 One thing to keep in mind as you look for cheap cable TV alternatives is that you may have to put together several options to get the content you want. For example, we use Netflix and HBO Now to watch most of our content. We also have an Amazon Fire Stick and an antenna to watch local channels. This may seem like a lot of work or be difficult to set up. It really isn’t. Even if you aren’t technically inclined, many of the best alternatives to cable TV are relatively simple to set up. The potential savings alone are well worth going through the experience of setting up one or multiple services. The best place to watch movies without cable TV is the library. That’s right, the library! We regularly get movies at the library for one simple reason – they’re free. You can’t beat free and it is one of our favorite ways to save money on entertainment costs. Many libraries vary in what they offer for movies and TV shows. If your local library can get movies on loan from other local libraries, then it really doesn’t matter what is currently being offered at your local branch. We commonly get movies at the library if we want a frugal date night or for something for the kids to watch. At a $0 cost, don’t overlook this option to save money on cable. You can also watch movies online. Here are the best places to watch free movies online if you want to continue with the free theme. Each site varies. Some will offer newer movies and others not so new. If that doesn’t bother you, it can be a great way to save money. I remember when we called DirecTV to cancel our subscription. One of the tactics they used to try to keep us under contract was to tell us that we couldn’t get local channels without cable. That was a straight up lie. The best way to get local channels without cable is with an antenna. No, you don’t have to climb your roof to put a giant antenna atop it. A digital antenna sits next to your TV, are very simple to install and use, and are relatively inexpensive. We personally use the Mohu Leaf 50 to get our local channels. It typically costs between $50-60. There are many other good antennas you can purchase – 1byone, Wsky and Antennas Direct make some of the better antennas, and there are many ones you can consider. Here’s a list of some of the better antenna options at Amazon. Just keep in mind that antennas only work for one TV. If you have multiple televisions, you’ll need an antenna for each. The second best option to get local channels without cable TV is your laptop. All you need is an HDMI cord to connect to your computer and TV (if you want to watch on a bigger screen) and you can watch your favorite shows. Some networks make you wait 24 hours to watch episodes, and some may require a week since airing before allowing you to watch a show. Networks like ABC, NBC, and Fox all allow you to watch shows for free. CBS is a bit different, with some shows being available online and others being available on their CBS All Access service. It may take a little work, but it’s possible to watch local TV without cable for free or a small one-time cost. Hulu Live is a newer offering by Hulu to offer live streaming services. Their plan starts at $39.99 per month for 60+ channels of live content. We have tried both legacy Hulu and Hulu Live several times and like what it has to offer. Legacy Hulu offers two plans – $7599 per month with commercials and a plan with no commercials, which is $11.99 with limited commercials. There’s no difference in the content you receive on the plans; you just remove the commercial aspect. You can also add Showtime for an additional $8.99 per month. Like other alternatives to cable TV, you can get a free 7-day trial to Hulu Live to see if it’s the best option for you. If you’d like to learn more about Hulu, check out our Hulu with Live TV review to see how it works. This is the no-contract offering from Dish and they offer two plans – Sling Orange and Sling Blue. Orange is the original version, which is $25 per month for 30 channels. Blue is the upgraded version, charging $25 per month for 45 channels – many of which are regional sports packages. You can get the combined package for just $40 per month. They also allow you to add HBO for an additional $15 per month. Check out our Sling TV channel lineup guide to see how you can customize the platform to meet your needs. You can get a free 7-day trial to Sling TV to see if it’s the option for you. Sling TV is one of the best cable TV alternatives and has a number of ways to customize to get the best package for you. We’ve tried it several times and found things we liked and didn’t like, but is a good option to consider. If you’d like to read more about Sling, check out our Sling TV review for more information. Philo is a relatively new streaming service that has a unique spin – they don’t include sports channels in their offering. While there aren’t any sports channels on Philo, if you don’t mind that, they do have many other popular channels that most people want after cutting the cord. At only $16 per month, Philo may be one of the better options to get the shows you want without spending too much. In fact, if you want to watch HGTV without cable, Philo is your best and cheapest option on the market. Philo’s low monthly cost is its strongest selling point. Not having sports available to stream is a big part of how it is able to keep its monthly subscription fee so low. That’s just a partial list. Philo does offer a 46 channel plan that’s $20 per month. Philo offers a 7-day free trial to check out their platform. If you’d like to read more about Sling, check out our Philo TV review for more information. DirecTV Now offers four service plans, starting at $50 and going up to $135 per month, for anywhere from 40 to 120 channels, respectively. DirecTV Now also allows you to add HBO or Cinemax for an additional $5 per month. You can get a free 7-day trial to DirecTV Now to see if it’s the best option for you. DirecTV Now does offer a few upgrades and features not found with Sling TV, but it’s not without its drawbacks. If you’d like to read more about DirecTV Now, check out our DirecTV Now review for more information. PlayStation Vue is one of the more popular live streaming TV sites. PlayStation VUE is more like DirecTV Now in its pricing, offering four different plans. The plans range from $44.99 to $79.99 per month, offering 45 to 90 channels, respectively, with the higher end package giving access to HBO and Showtime. Sony currently offers a free 5-day trial to test out the service. We’ve not had the opportunity to test out PlayStation Vue, but have heard a number of good things. The main benefits are its DVR capabilities and ability to set up a maximum of five user profiles, which is helpful for larger families. Netflix is the granddaddy of alternatives to cable TV. Netflix was one of the forerunners is helping people cut the cord and save money. As any parent of little ones will tell you, Netflix is a near must have in your home. Plans are relatively cheap, coming in at $8.99, $10.99, and $12.99 per month. Netflix also offers a free month-long trial to test their platform. If you can deal with their random changes in program availability, it’s a great app to use. Netflix is similar in a lot of ways to Hulu for those wanting bare bones service. You can check out our Hulu vs Netflix guide for a side-by-side review of the two services. Amazon doesn’t quite match up to Netflix, but it’s still a good cable TV alternative. If you don’t want to buy an Amazon Prime membership, you can buy their streaming service for a cost of $8.99 per month. However, if you really want Amazon Instant Video it makes mathematical sense to buy the Prime membership and enjoy all its additional benefits. We access both Netflix and Amazon through either our Amazon Fire TV Stick or Amazon Fire TV. Both work relatively seamlessly, and either could be considered a must-have tool to help you cut the cord. If you’d like to read more on either, check out our Amazon Fire Stick review or Amazon Fire TV review. Fubo TV: $19.99 per month for the first two months, then $39.99, after a 7-day free trial – gets you access to dozens of sports channels for Major League Soccer, NFL and more. Fubo TV also carries local channels, plus a handful of other non-sports related channels. Check out our FuboTV review to get a more in-depth review of the service. You can access these all through various forms. You can use them directly from your computer, with a device like your Amazon Fire Stick or Roku or through your smart TV. Cable companies aren’t dumb. They know that the cable contract is a dying beast and that streaming options have become more popular. The bundle. The bundle is their way to make pricing more attractive by giving you cable with your Internet package. In some cases, a bundled cable and Internet option may be the cheapest option. However, in many cases it will still save you more money to cut the cord and buy standalone Internet. The two best options for standalone Internet are AT&T Wireless and FreedomPop. Coverage does vary based on where you live. Xfinity by Comcast is also a good option that also allows for you to get no-contract TV with Internet service. If you think it may be cheaper for you to cut the cord, here’s how to get Internet without cable TV. Just make sure to do the math to make sure you’ll save money. Besides sports, the worst thing many people fear about cutting the cord is missing out on their favorite cable TV shows. I feared the same thing as well, but have found a way to get some of my favorite cable shows without cable – in some cases. You may not even need one of the above services to access some of your favorite shows for free. Here’s how you do it. You simply go to the respective channel’s website and go to their shows list. That’s it. I will warn you, however, that this doesn’t work with all cable channels. When it does, it can be a great way to save money and still watch your favorite shows. It’s important to note that each channel has its own requirements. Some may make you wait a day from airing before showing online, and others may only allow you to go five episodes back. Other channels may require you to set up a free account to access content. Others go farther and require you to sign in with the login information for your cable provider. In some cases, you can bypass that with the login information for your Internet Service Provider, but it varies by network. It’s not perfect, but if you’re in a pinch, it can be a good way to watch your ‘can’t miss’ show without needing a cable subscription. 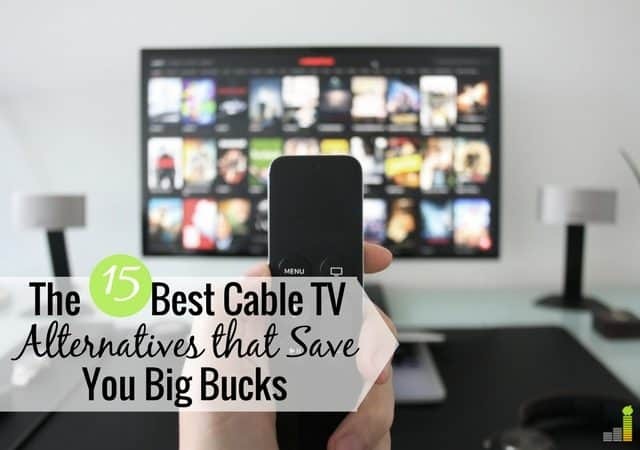 There are many cheap alternatives to cable TV that can help you save big money. Find the services that work best for you and cut that cord; you won’t regret it. If you’re afraid to cut the cord, check out my in-depth guide on how to cut the cord to discover the exact steps you need to take to break free of your overpriced cable contract. Which of the best alternatives to cable TV have you tried? How much money are you saving each month since cutting the cord? If you still have cable, what’s holding you back? 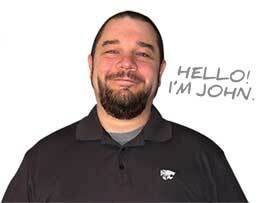 Good roundup, John. I’m very happy with the trend of more and more skinny bundles coming out. It’s difficult to keep track of all the new ones, which is a good thing! Completely agreed DC, more options is a great thing! I have become addicted to the ability to pause and rewind shows with Direct TV – even network offerings. Do any of the cord cutting options allow this? Great question Sandra. My main experience is with DirecTV Now & Sling TV. DirecTV Now offers some ability to pause/rewind. Sling TV, on the other hand, has started to roll out a DVR but I’ve not had the chance to test it out yet. Thank you very much John ! I’m currently looking to cut the cord to cable ! I can’t afford it ! Of course, happy to help Gail! Ouch, that’s an expensive bill. There are plenty of options here to help you save big money. My cable bill annually is $2400. There has to be something else? Wow, yes there is Bob! Many of the options in this post will get you the same content for 1/3 of the cost, or less. Great article, I use Netflix, Amazon and PBS for my viewing purposes. The good thing about PBS is its free! I have used Sling with the Orange package and enjoyed it. But, I soon realized I don’t watch enough TV to justify shelling out $20 a month. It was cut out and I am much happier now. Thanks Adam! We use Netflix, Amazon and HBO Now for what we watch – plus what we can get on locals. We felt the same way. It just wasn’t worth the expense for us in the long run. That’s a great question Betty. I actually wrote an entire post on that topic, here it is. Do any of these alternatives to cable offer the Hallmark channel? How do you get just local channels & WiFi without cable? You’ll want to consult this post and this post for that. Very nice Karen. Gotta love the savings!